Water crises have been described as crises of fragmented governance, particularly in transboundary settings where freshwater resources cross political borders. 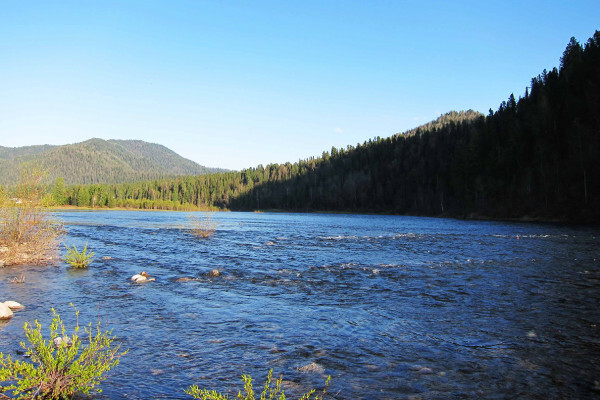 Federal rivers are an important type of transboundary river, where the territorial division of authority creates incentives for local adaptation, but also barriers to cooperation and conflict resolution. Droughts and water scarcity pose stress tests for transboundary governance. The federal perspective emphasises the intergovernmental and multi-level governance challenges associated with adaptation to drought and water scarcity, highlighting the politics and disputes that may impede coordinated approaches and require institutional mechanisms for conflict resolution, joint decision-making and adaptive governance. According to the Forum of Federations, 25 countries have a federal political system, including the large territories of all of the BRICS except for China, all of North America and democracies across the world. 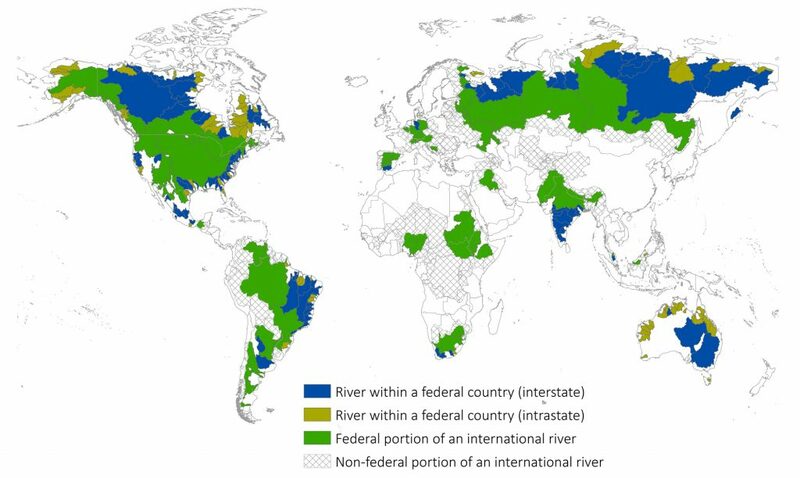 The global extent, and diversity, of federal rivers makes them an important class of transboundary river, and highlights the need for systematic studies and comparisons. We use a bottom up approach to examine the shared institutions, infrastructure and information used to foster cooperation, resolve conflicts and adapt in federal rivers worldwide. Our research agenda is transdisciplinary and policy-oriented, grounded in the study of the commons, transboundary rivers and indicator-based assessment of patterns of conflict and cooperation, their drivers and consequences. In July 2018, the journal Regional Environmental Change published a special issue dedicated to Water Governance in Federal Rivers. A collection of 10 articles examines the governance challenges associated with water in federations. The papers from the special issue suggest that federalism is an important variable in regional environmental politics and governance with implications for theory and practice. To read more, click here. 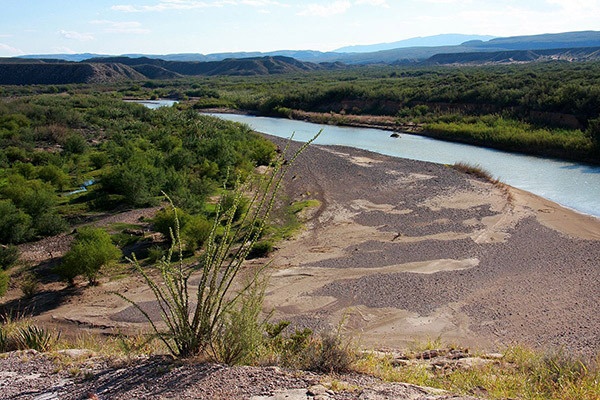 The Rio Grande / Bravo River of the US and Mexico has been the laboratory for developing and testing a framework to assess the patterns of conflict and cooperation across sub-national and international political borders in the face of severe drought and water scarcity. 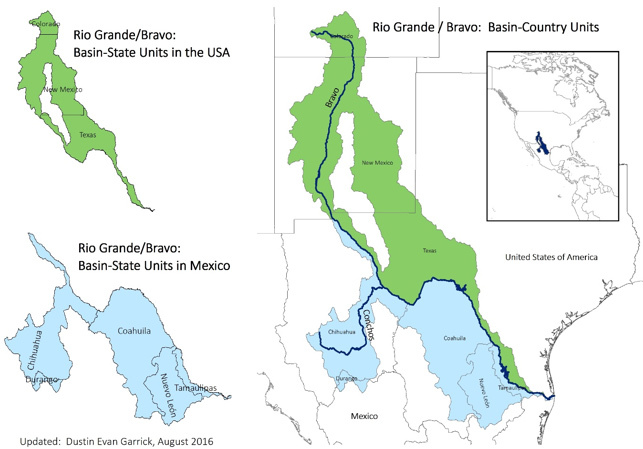 While many frameworks for transboundary governance emphasise the country-to-country relationships in international rivers, the Rio Grande/Bravo demonstrates also the importance of cooperation and conflict at the ‘meso-scale’ between the sub-national governments (3 in the US, 5 in Mexico). Severe, sustained drought and water scarcity have strained relationships across political borders within each country as much, if not more, than between them. What are the barriers, incentives and institutions for cooperation across sub-national political borders? Does decentralisation enhance resilience to drought and water scarcity? How well do institutions handle tensions and disputes between governments in the face of chronic pressures and extreme events? What can international rivers learn from federal rivers? And vice versa? Advance our understanding of the factors (institutions, infrastructure and information) influencing cooperation, conflict resolution and capacity to adapt to droughts and water scarcity in federal rivers. Develop case studies in different federal rivers to gather context-specific evidence and transferable lessons. Build a global database using a data architecture and coding process to collect, store and analyse physical, institutional and socioeconomic data. The database is being designed based on the input and needs of decision-makers, drawing on primary data, field research, local expertise and tools for assessing how institutions influence social, economic and environmental outcomes. Engage decision-makers in governments, civil society, business and multi-lateral organisations to inform collective action strategies and progress toward the Sustainable Development Goals, including the role of sub-national governments and inter-governmental cooperation in SDG 6.5-6.6, and within the framework of the OECD Water Governance Initiative. 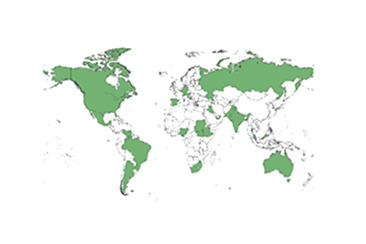 We have convened two international meetings in Oxford (2012) and Colorado (2016) to form a world-class network of over 35 researchers and practitioners, providing on-the-ground expertise in 10 regions on all 6 inhabited continents. Garrick, D., L. De Stefano, F. Fung, J. Pittock, E. Schlager, M. New and D. Connell (2013). 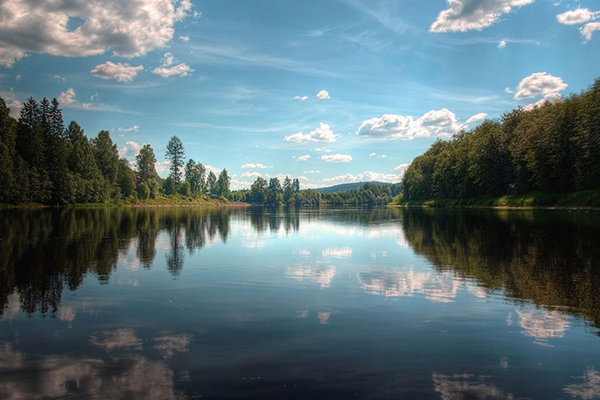 "Managing hydroclimatic risks in federal rivers: a diagnostic assessment." Philosophical Transactions of the Royal Society A. 371(2002): 20120415. Garrick, D. E., G. R. Anderson, D. Connell and J. Pittock (2014). Federal Rivers: Managing Water in Multi-Layered Political Systems, Edward Elgar Publishing. Garrick, DE, E Schlager, and S Villamayor-Tomas. 2016. "Governing an International Transboundary River: Opportunism, Safeguards, and Drought Adaptation in the Rio Grande." Publius: The Journal of Federalism 46 (2):170-198. © 2017 Federal Rivers. All Rights Reserved.